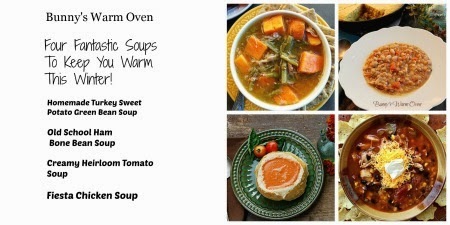 Bunny's Warm Oven: Four Fantastic Soups To Warm You This Winter! 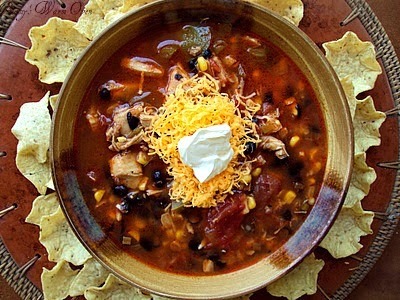 These Homemade Soups are Fantastic as a Delicious Winter Meal. With Ole Man Winter hitting the nation at his hardest right now I thought about homemade soups and how comforting and nourishing they are. Paired with rolls or bread and a salad these soups become a delicious meal. I hope you love these as much as my husband and I have! Click on the soup title for the recipe. Enjoy!